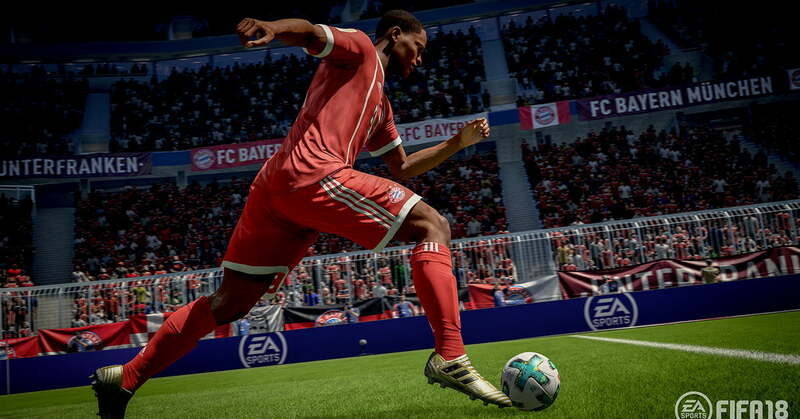 During EA Play at E3 2018, EA Sports showed off the next iteration of FIFA, and soccer fans will be happy to learn FIFA 19 is adding the Union of European Football Associations Champions League. Previously, the Champions League had a partnership with Konami for its soccer sim Pro Evolution Soccer. That partnership ended in April and EA quickly snatched it up. The Champions League content will be available across the whole FIFA 19 package, including Ultimate Team and The Journey, FIFA’s story mode that returns for a third season. Once again, in The Journey, you play as Alex Hunter, the rising soccer star. The Journey was one of the coolest story modes we’ve seen in a sports game when it first appeared in FIFA 17, and FIFA 18 continued the story in a great way. EA also said a slew of impactful gameplay changes are coming to the soccer sim, but it didn’t go into detail about what to expect. More info on gameplay refinements will be released ahead of the game’s September launch. For those who want to dip their toes into the sim, FIFA 18 is available now as a free trial on PlayStation 4, Xbox One, and PC via EA Origin (sorry, no free trial on Nintendo Switch). The free trial opens up the whole game. It’s a limited-time deal, and EA didn’t announce when the trial would end. The trial comes ahead of the free FIFA World Cup update for FIFA 18 to celebrate the biggest worldwide soccer tournament. While Switch users don’t have access to the free trial, the World Cup content will be available on Nintendo’s hybrid platform. FIFA 19 launches September 28 on PS4, Xbox One, Switch, and PC. EA Origin Access Premier, a new premium subscription service that will launch later this summer, will grant subscribers access to FIFA 19. Origin Access Premier is $100 per year or $15 per month. For fans of EA Sports titles — FIFA, Madden, NBA Live — it’s probably worth it. In other EA Sports news, Madden will make its return to PC for the first time in 11 years with Madden 19. For the past decade, FIFA has been the only EA Sports game to consistently come to PC.